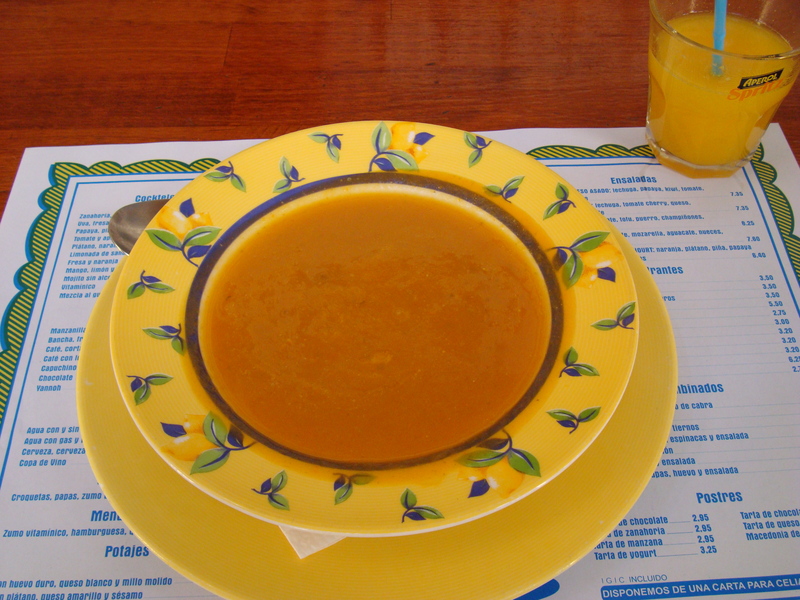 Lunch at El El Limón. 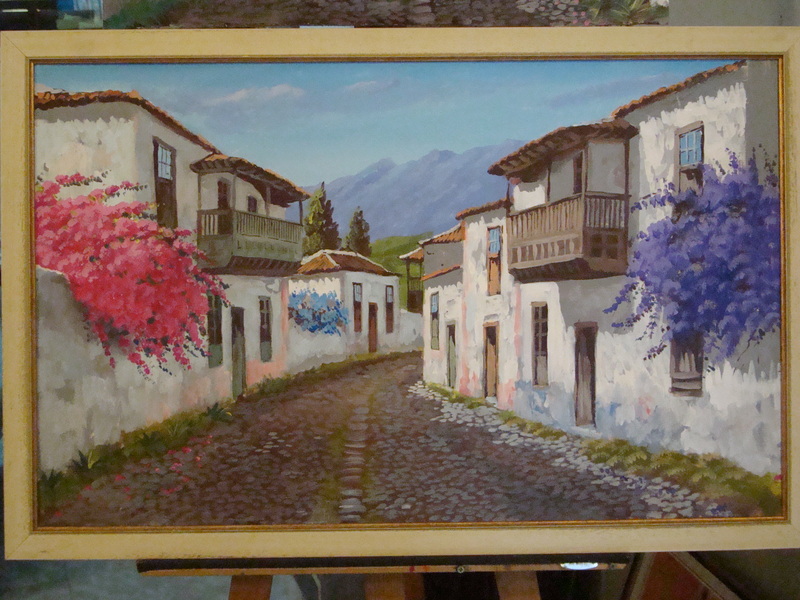 Pintura de Jonathan Gonzalez Fernadez en Galería de arte La Peñita en Calle San Felipe en Puerto de la Cruz. Old street in Los Realos no longer exists, but the villages higher up, still have these old houses. 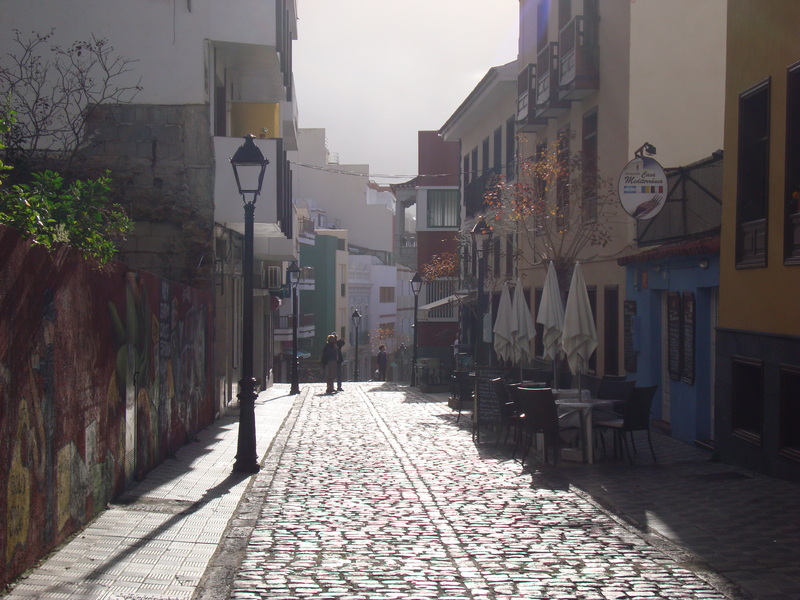 Calle Benjamin Miranda late afternoon. 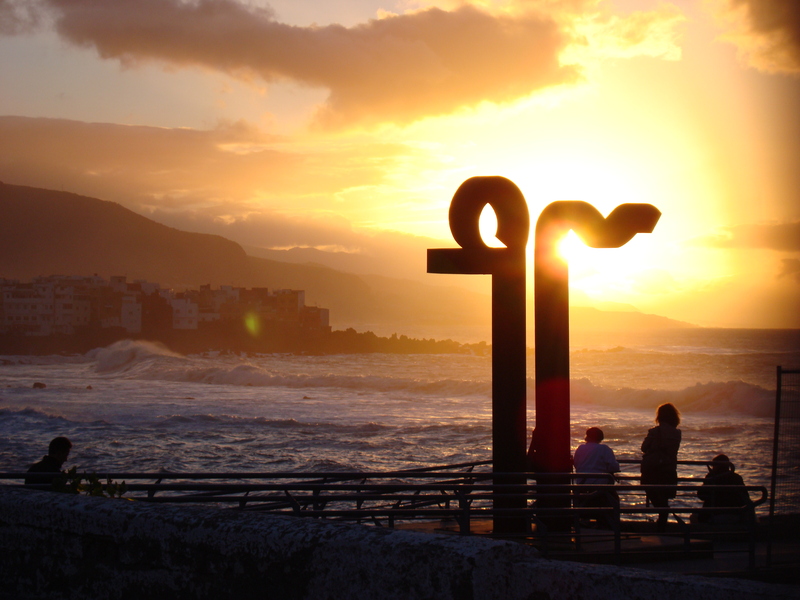 Puesta del sol de Playa Jardín en Puerto de la Cruz en Tenerife en Islas Canarias. To those who know the price of everything and the value of nothing, what price a sunset? Thunderstruck AC/DC performed by 2Cellos. 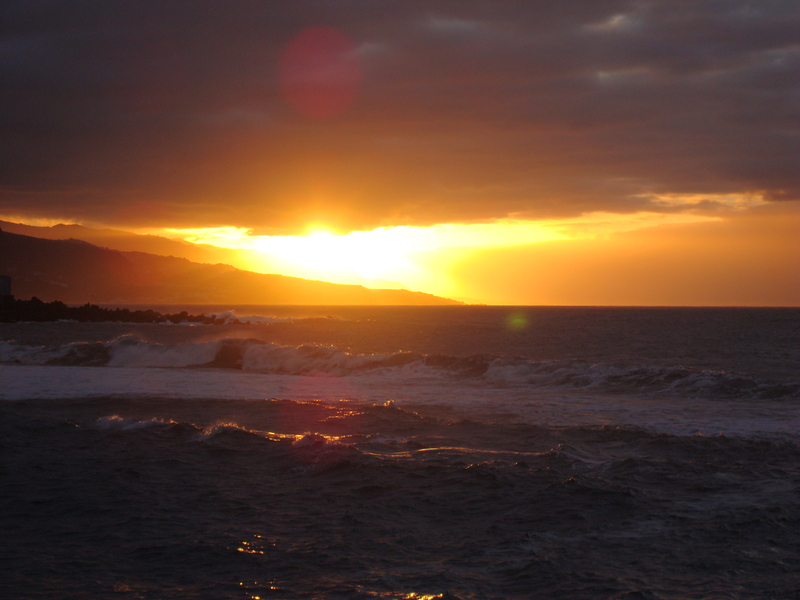 Sunset looking out from sea wall over Playa Jardín towards Punta Brava and along the coast towards Garachico. 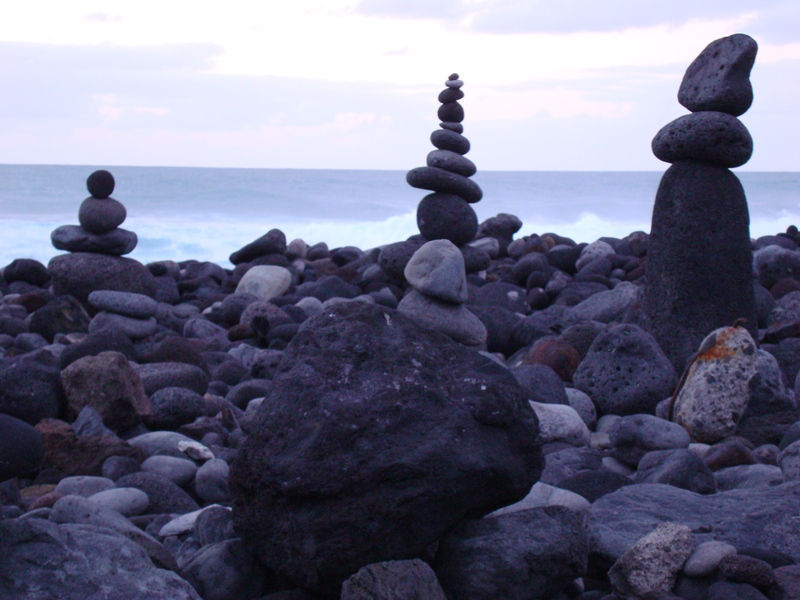 Last year, volcanic rocks balanced one upon the other in the corner of Playa Jardín. Now, past the sea wall, facing the sea, many rocks balanced one upon the other. 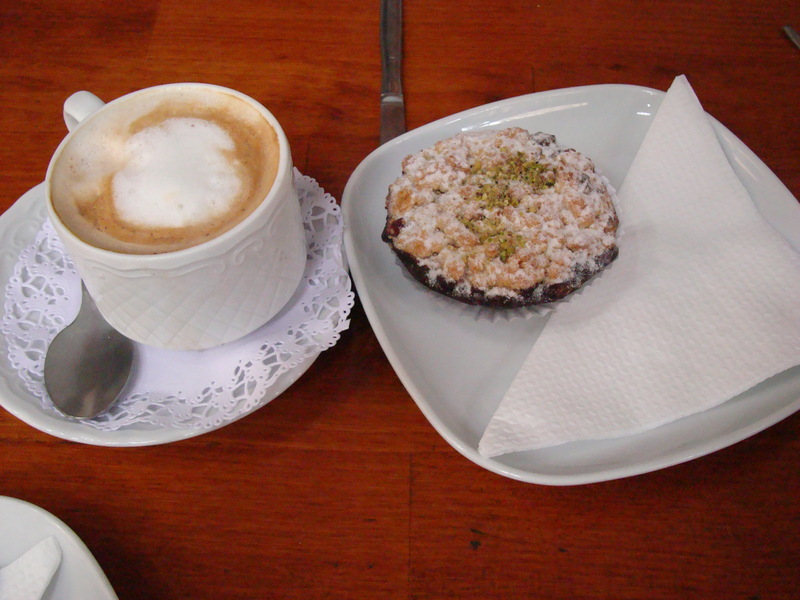 Café con tartaleta con mermelada de fresa en El Limón. 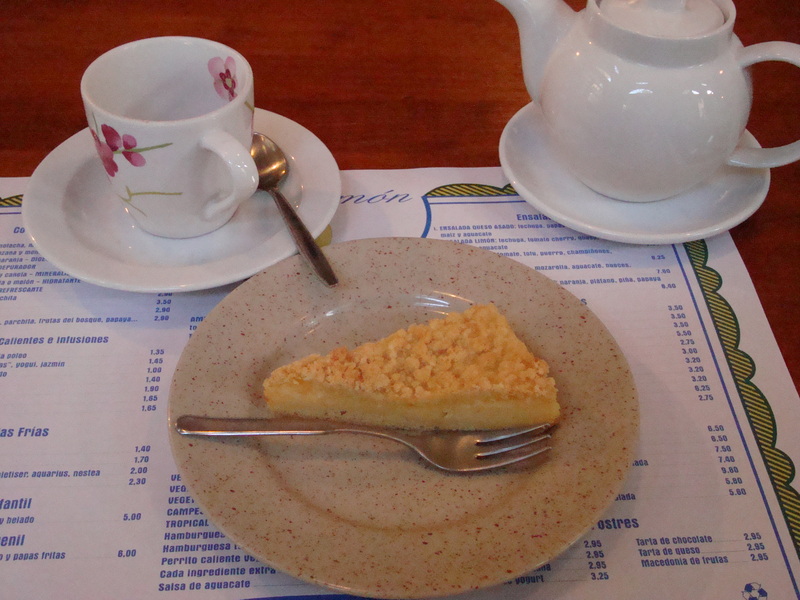 Small tart with blueberries plus a coffee in El Limón. Last year, Castillo de San Felipe had midday concerts on a Sunday. Currently, Castillo de San Felipe is closed for renovations, Teatro Timanfaya is now holding matinee concerts on a Sunday. 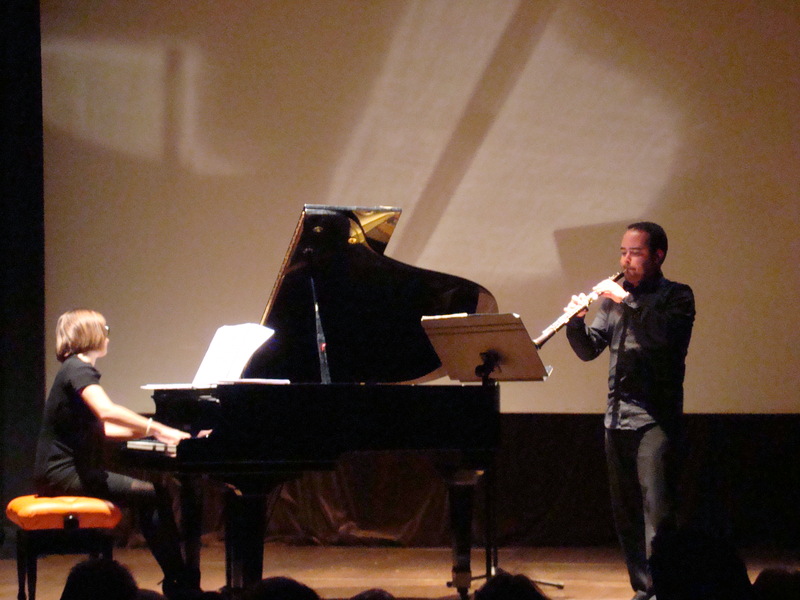 Today at midday, Dúo Laurempo (Enrique Alverez, oboe; Laura Gordo, piano). I was quite surprised to find the place packed, on a lovely sunny day, far more than Castillo de San Felipe, though I much prefer Castillo de San Felipe. I have to admit, the recital was a grave disappointment, either discordant to the point of wishing to cover ones ears or boring to the point of falling asleep. A very poor choice of material. The one exception, Oblivion by Astor Piazzolla. A pity the entire recital was not Astor Piazzolla, but if so, night not day. Teatro Sala Timanfaya, just off Plaza Charco en Puerto de la Cruz, used to be a cinema, now a theatre. 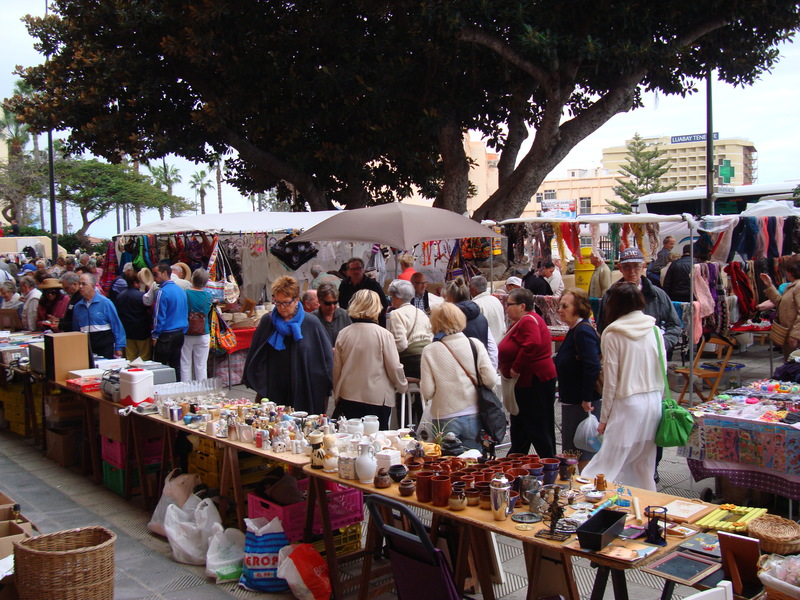 A Saturday street market at El Mercado, a little above Hotel Luabay (Hotel Florida). El Mercado, mainly clothes, a little book shop, cafe, on the ground floor. First floor fruit and vegetables, fish, meat. Top floor the roof. Next to Harry´s Gourmeteria, the little cafe had closed, it has now opened as a little food shop. The fish shop serving fish grilled on a hot plate, oysters and Serrano Delicatessen also now serving food. The street market is manly junk, like all street markets. Today I could barely move, I have never seen so many people, the street outside also busy with people. I thought maybe a dull, cool day, or that I was earlier, but Harry said no, it is now always like this on a Saturday. There is now a weekly craft market, above the bus old bus station, Monday to Friday. Mainly Blacks selling counterfeit goods. You are currently browsing the Keithpp's Blog blog archives for February, 2014.